The alligators in the Cross Florida Barge Canal were treated to an unusual sight last weekend. 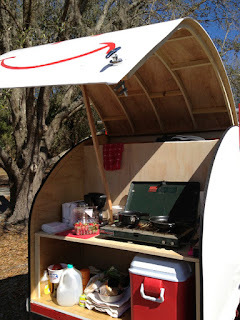 More than a dozen teardrop campers lined the canal bank for the Tear Jerkers Kick Off the Year Gathering 2013. 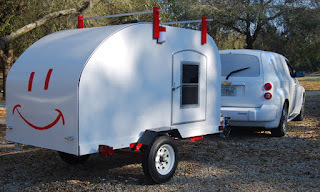 Tear Jerkers is a group of over 1,500 teardrop and small travel trailer enthusiasts with chapters in almost every state and many outside the US. Founded over 15 years ago, it is known for its camaraderie, informative forum and lively gatherings. Many members build their own teardrops. Other tears at this gathering were made by Little Guy, Larry’s Tears and Florida’s own Trekker Trailers. A vintage Scotty stand-up trailer, restored by a tear jerker for a fellow member, rounded out the group. 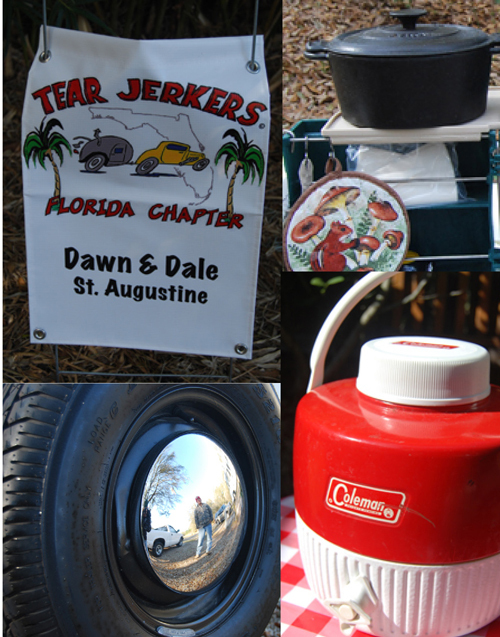 Held at Rodman Campground outside Palatka, Florida, the campout drew tear jerkers from as far south as Ft. Lauderdale and as far north as the North Carolina-Virginia state line. About 20 people and 10 dogs from the Dixie, Southern Appalachian and host Florida chapters braved the cold and wind to visit with old and new friends. Even though it dipped into the low 30s, everyone kept warm with campfires, Dutch oven cooking and cozy teardrops. 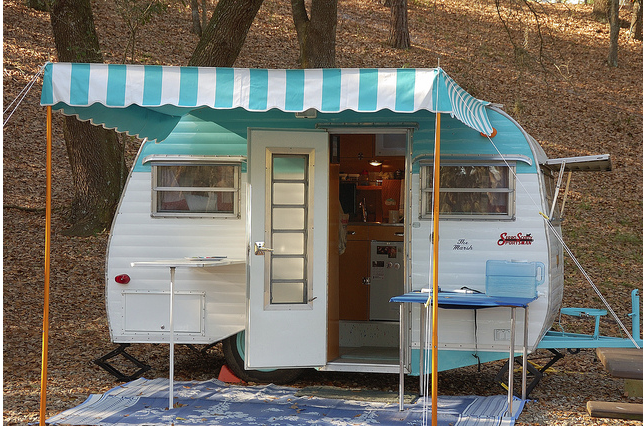 The folks were as varied as their camper décor, and every teardrop had a story. One gentleman arrived just a few days after major surgery. One couple had to leave early to see to plants, goats and chickens when a hard frost threatened back home. A retired couple was trying out their teardrop in the cold for the first time and fine-tuning their gear. A mix of veteran tear jerkers and newbies, the group checked out all the unique camper builds, gadgets and banners. The tow vehicles were part of the attraction, since many made a perfect set with the trailer. It was a real treat to see so many teardrops in one spot and learn from the veterans. I arrived on Friday after dark and Dale, my husband, and Rudy, our dog, joined me the next day. Heading out of St. Augustine Friday night, I had to wend my way through First Friday Artwalk traffic, towing the tear on my own for the first time. I saw a few friends in the crowd and our teardrop, Lizzie, turned a few heads like she always does. It was a good, adventurous feeling, heading away from civilization into the night with my little home behind me. I knew Lizzie and I would come back with stories to tell. Nice piece. Wish you had posted our teardrop too. Thanks, Carla. I took all the pictures the day you guys left in the early morning. I’d love to post some of yours and tie it in with the fact that Ross was the person who brought Marvin’s camper back to life.